This module describes the various approaches to laws and legal penalties that are related to drug use as well as drug-impaired driving. It briefly highlights the various ways in which jurisdictions can use laws to prevent and reduce drug-impaired driving, and summarizes different legal strategies that are utilized in North American, European, and Australian jurisdictions. Examples of laws in some jurisdictions are shared and evaluations that investigate the effectiveness of these laws in reducing drug-impaired driving are examined. The module also discusses the effectiveness of different types of penalties for alcohol- and drug-impaired driving offences, including criminal sanctions as well as administrative sanctions (e.g., jail, probation/parole supervision, licence suspensions and vehicle impoundment). The module also explores post-conviction sanctions (e.g., specialty courts and ignition interlock devices) to provide insight into strategies that may have potential to reduce impaired driving. Research evidence specific to drug-impaired driving is more limited as compared to research about alcohol-impaired driving. What different types of legal strategies can be used by governments to manage drug-use? What different types of laws can be used to manage drug-impaired driving? What criminal penalties are applied to convicted drug-impaired drivers? 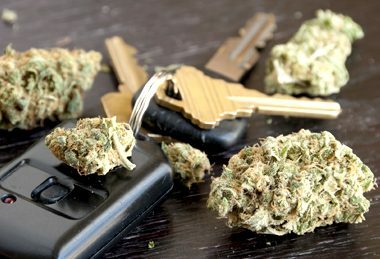 Apart from criminal penalties, are there other types of penalties that can be applied to convicted drug-impaired drivers by provinces or states? Have the different types of laws and penalties used to manage drug-impaired driving been evaluated, in terms of reducing the prevalence of drug-impaired driving and preventing repeat drug-impaired driving offences? Have behavioural impairment laws been evaluated, and if so, what is known about their effectiveness? Have per se laws been evaluated, and if so, what is known about their effectiveness? Have zero tolerance laws been evaluated, and if so, what is known about their effectiveness? Have prison and jail sentences as a penalty for impaired-driving been evaluated, and if so, what is nown about their effectiveness? Have probation/community supervision and parole sentences as a penalty for impaired-driving been evaluated, and if so, what is known about their effectiveness? Have licence suspensions for impaired-driving been evaluated, and if so, what is known about their effectiveness? Have vehicle impoundment programs for impaired-driving been evaluated, and if so, what is known about its effectiveness? What are drug courts, and how are they applied to drug-impaired drivers? What are DWI (Driving While Impaired) Courts? Are drug-impaired drivers in the U.S. required to abstain from drug and alcohol use after conviction? How are they monitored or tested for drug and alcohol use post-conviction? What are remedial driver licencing programs and how are they applied to drug-impaired drivers? Could a device similar to an alcohol ignition interlock, which is used to monitor convicted alcohol-impaired drivers, ever be used for drug-impaired drivers? 1. What different types of legal strategies can be used by governments to manage drug-use? Laws regarding the permissibility of illicit drug use in a particular jurisdiction can have an impact on drug-impaired driving laws. As such, a brief legislative overview of the legal approaches toward drug use that exist can provide important context to understand drug-impaired driving laws. It should be noted that the aims of this learning centre are to share information about the laws and regulations regarding drug-impaired driving and how it is managed in different jurisdictions. It is not to discuss or promote strategies on drug use or legalization. Instead, this legislative overview is provided only as context for the options available to jurisdictions regarding potential strategies to legislate and manage drug-impaired driving. Modern day drug use laws exist on a continuum from prohibition to legalization with government regulation. Each of these approaches is distinct and they are briefly described below. Prohibition. Prohibition is based on the philosophy that illicit drug use is absolutely prohibited within a jurisdiction and is usually a matter of criminal law. Substantial penalties are often applied for drug offences, many of which include incarceration (jail or prison)1 and a criminal record for convicted offenders. Decriminalization. Decriminalization strategies vary from jurisdiction to jurisdiction but are generally viewed as a half-measure between prohibition and legalization. Prohibition remains in effect but possession charges, particularly for small amounts of drugs deemed for personal use, may no longer be criminal offences. Instead they become civil violations or misdemeanor charges2, where no criminal record is established and the punishment is a small fine. Legalization without government regulation. Legalization without government regulation occurs when drug use is completely legal with no sanctions or restrictions pertaining to sales, distribution, or use. Although the criminal consequences are removed for drug use, the lack of regulation can lead to a number of social problems such as: drug-impaired driving, underage drug use, chronic health and/or mental health problems associated with use, increases in emergency room admissions and lack of available safety prevention measures. Legalization with government regulation. Legalization with government regulation gives jurisdictions the opportunity to control and regulate distribution, sales and access to drugs. Although drug use is technically legal it would be subject to certain restrictions, similar to alcohol or tobacco (e.g. place of sale, age of purchase, etc. ), that would allow sanctions against recklessness. 1 There is an important distinction between jail and prison. Whereas jail is a short-term imprisonment (two years or less) at a local facility and is imposed for lesser offences, prison is imposed for longer-term incarnation (two years or more) in a provincial, state or federal facility following a conviction for more serious offences. 2 Misdemeanor offences are lessor category of criminal offences, but are less serious than felony offences and may be expunged after a certain amount of time. 2. What different types of laws can be used to manage drug-impaired driving? Behaviour impairment. Prosecution of offences related to behavioural impairment are based on the collection of evidence of physiological impairment by trained police officers, and toxicological test results. Impairment-based laws require police officers to document observed impaired behaviour that is directly linked to consumption of a specific drug. 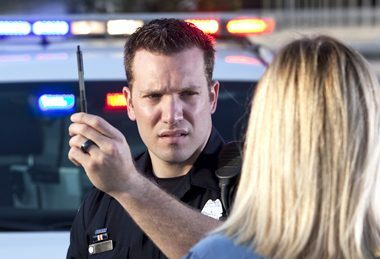 Evidence that is gathered may include observations of an officer while the vehicle in motion and the driver during the stop (e.g., erratic driving, inability to locate licence/registration, stumbling out of the vehicle), driver performance on Standardized Field Sobriety Tests (SFSTs), a battery of tests by a trained Drug Recognition Expert (DRE), along with a confirmatory drug analysis test. Although per se laws are perceived to be more easily enforced, they are associated with greater costs (i.e., roadside testing devices, laboratory analysis), and are more vulnerable to challenge in court in relation to drugs. This is due to the lack of clear consensus regarding the threshold that should be set and whether there is clear and convincing evidence that a majority of people would be considered impaired and unable to safely operate a motor vehicle at this threshold. 3. What criminal penalties are applied to convicted drug-impaired drivers? Criminal penalties applied in cases of drug-impaired driving vary across countries depending on the authority for criminal law. In Canada, criminal law is the responsibility of the Federal government and is uniform across all jurisdictions, whereas in the US criminal law is the responsibility of state governments and is different across jurisdictions. Generally speaking, penalties are often similar to those applied for alcohol-impaired driving and may include incarceration, periods of probationary sentences, substance abuse education or treatment, licence suspensions, alcohol ignition interlocks and/or fines. 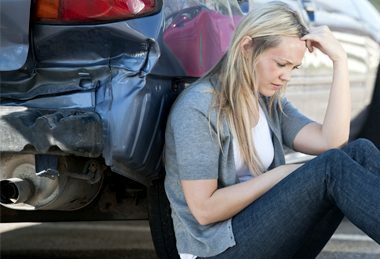 The severity of penalties increases in cases involving a crash causing death, injury, or property damage. Additionally, the severity of penalties can increase for repeat offences. 4. Apart from criminal penalties, are there other types of penalties that can be applied to convicted drug-impaired drivers by provinces or states? 14 An alcohol interlock is a device requires a breath sample from a driver to determine the presence of alcohol. A driver cannot start a vehicle following a breath sample in excess of a pre-determined BAC level. The interlock interrupts the flow of power to the starter to starting the vehicle. 5. What are the current laws and penalties for drug-impaired driving? Canada. While a per se limit is used for alcohol-impaired driving, Canada currently employs a behavioural impairment legislative approach to drug-impaired driving. Additionally, Senate Bill S-230 has been introduced in the Senate of Canada. This Bill proposes revisions to section 254 (2) and (3.4) of the Canadian Criminal Code to facilitate the process of oral fluid testing for drugs by officers that investigate suspected impaired drivers. Specifically, this change proposes to permit for peace officers to demand oral fluid or urine from suspected drivers depending upon which test, in the officer’s opinion, would provide a more accurate measure to determine if they are impaired due to drugs. The main goal of this bill is to enable officers to collect oral fluid similar to the way breath samples are collected for alcohol-impaired driving. This is because drugs are more readily detected in saliva or blood whereas alcohol is more readily detected in breath; something that the current legislative scheme does not address. 1 state (Colorado), has established a reasonable inference law for THC with a per se limit of 5 ng/ml. States that have not established zero tolerance or per se laws, utilize an impairment-based legislative approach to drug-impaired driving. Drivers are deemed impaired if their ability to safely operate a vehicle is affected by the use of alcohol and/or drugs, as assessed by a trained law enforcement officer.30 Additionally, in states with impairment-based legislation, law enforcement officers must directly link observed impairment to the presence of a specific category of drug in order to file a charge. For the majority of states, impaired-driving legislation is contained within transportation and motor vehicle codes, with the exception of Idaho and Texas, which have included impaired driving laws in their criminal codes.31 According to Jonah (2014), none of the states have administrative laws for drug-impaired driving, and all states require drivers charged with a drug-impaired driving charge to appear in criminal court. Criminal penalties for drug-impaired driving convictions vary from state to state, but are often similar to those imposed for alcohol-impaired driving. For example, in Colorado, drug- or alcohol-impaired drivers may be charged with different types of impaired driving offences. Suspected impaired drivers can be charged with either driving while ability impaired (DWAI) and driving under the influence (DUI) offences while in Colorado.32 In some cases they may be charged with both types of offences. A 1st DWAI conviction results in a jail sentence ranging from 2 days to 180 days, a fine between $200 and $500, and mandatory public services of 24 hours to 48 hours. A 1st DUI conviction results in a jail sentence of 5 days to one year, a fine of $600 to $1,000, and mandatory public service of 48 hours to 96 hours.33 Each subsequent conviction results in longer jail sentences and larger fines. Penalties for drug-impaired driving also vary widely across European countries and prison sentences may range from a few days to years, licence suspensions may range from a few months to five years, and fines may be as low as a few hundred euros (€) to as large as several thousand euros, depending on the country in question.44 Specific examples from Norway and France are described below as illustration of penalties. Legislation. Norway has established per se limits for 28 drugs, including both medicinal and illegal drugs. These limits were determined by an expert panel based in part on a comprehensive review of experimental studies. These limits are considered to reflect the concentrations at which impairment comparable to a BAC of 0.02% would be observed, and 22 out of the 28 drugs have limits for graded sanction corresponding to a BAC of 0.05% and 0.12%. Legislation. France has a zero tolerance legislative approach to drug-impaired driving. Australia. The current laws and penalties for drug-impaired driving in Australia vary by jurisdiction. Legislation. In 2004 Victoria introduced random roadside drug testing (RDT) legislation and implemented a roadside oral-fluid screening device (Securetec Drug Wipe II), making it the first Australian jurisdiction to do so.48 A zero tolerance approach was adopted for THC, methamphetamine, and MDMA. Legislation. RDT legislation was introduced in 2005 and a zero tolerance approach was adopted for THC, methamphetamine, and MDMA. Legislation. RDT legislation was introduced in 2007 and a zero tolerance approach was adopted for THC, methamphetamine, and MDMA. Legislation. RDT legislation was introduced in 2006 and a zero tolerance approach was adopted for THC, methamphetamine, and MDMA. Legislation. RDT legislation was introduced in 2007. Legislation. RDT legislation was introduced in 2008. Penalties. Upon conviction first offenders are subject to a $400 AUD fine and/or a term of imprisonment no longer than three months. Legislation. RDT legislation was introduced in 2011. Penalties. First offenders can be charged a fine up to $1500 AUD. Repeat offenders can be charged a fine of up to $3,750 AUD and/or be given three months imprisonment. Offenders can also lose their driver’s licence for a period specified by the court. 19 A summary conviction is an offence which can be acted upon without the need for a jury trial and/or indictment. An indictable offence requires either a preliminary hearing or a grand jury. Offenders generally have the right to a trial by jury for indictable offences unless they forgo that right. Hybrid offences are offences that can be prosecuted by either summary conviction or indictment, and the prosecution is able to elect which an offence is to be tried. Impaired driving is a hybrid offence. 32 DWAI is considered a lesser offence and is generally applied when someone has a BAC level between 0.05-0.08. DUI is a more serious offence and is typically applied when someone’s BAC is over 0.08. DWAI offences are determined by both BAC level and the observed behaviour of the driver while DUI offences are determined by whether or not a driver’s BAC level is over the legal limit. 6. Have the different types of laws and penalties used to manage drug-impaired driving been evaluated, in terms of reducing the prevalence of drug-impaired driving and preventing repeat drug-impaired driving offences? 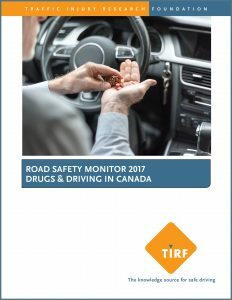 Laws and penalties for drug-impaired driving offences have been evaluated across various jurisdictions in terms of reducing the prevalence and recidivism59 however there are not many recent evaluations. Most of these evaluations pertain to alcohol-impaired driving offences. According to studies about the effectiveness of these laws for drug-impaired driving, the general consensus is that more research is needed since many questions about their effectiveness remain unanswered. a) Have behavioural impairment laws been evaluated, and if so, what is known about their effectiveness? There is a vast body of research that examines the effectiveness of behavioural impairment laws and the effect of these laws on both alcohol-impaired driving and drug-impaired driving. Evaluations involving alcohol-impaired driving have shown that behavioural impairment laws are not as effective as per se laws as a tool to regulate alcohol-impaired driving. Specifically, the shift from behavioural impairment laws to per se laws for alcohol-impaired driving appears to have been a turning point at which alcohol-related driver fatalities began to decline following their implementation.60 However, this approach requires a demonstrable per se limit, that is supported by scientific evidence as constituting impairment, and a device that can accurately measure the specified threshold at which drivers are impaired and unable to safely operate a motor vehicle. Conversely, in 2016, behavioural impairment laws are viewed as more viable than per se laws for drug-impaired driving due to the lack of scientific consensus regarding impairment at specified thresholds of individual drugs. Generally, it is believed that more research is needed to accurately determine a person’s level of impairment based upon the quantity of drugs they have in their system.61 In the absence of definitive research to demonstrate that a specific amount of consumed drug results in a certain level of impairment for all users, it is challenging to establish a precise per se limit. For this reason it has generally been acknowledged that behavioural impairment laws are the most effective and practicable strategy to manage drug impaired driving offences. b) Have per se laws been evaluated, and if so, what is known about their effectiveness? Despite these challenges, there is some evidence that the adoption of per se limits for drug-impaired driving would be positively received by traffic safety officials.67 This appears to be due to beliefs that the process of prosecuting drug-impaired drivers would be more similar to the process of prosecuting alcohol-impaired drivers. Specifically, traffic safety officials noted that in jurisdictions that do have per se limits for drug-impaired driving, officers are often able to charge individuals according to the evidence that is most readily available, and that will be more likely to result in a conviction, as opposed to having to rely on the evidence and documentation gathered by a DRE.68 As such, the use of per se limits would facilitate the detection and arrest of drug-impaired drivers, even if officers are not trained and certified as DREs. c) Have zero tolerance laws been evaluated, and if so, what do we know about their effectiveness? The effectiveness of zero tolerance laws, as they pertain to alcohol-impaired and drug-impaired driving, have been regularly evaluated. Zero tolerance laws for alcohol-impaired driving are primarily aimed at preventing young people (aged 21 years and under) and commercial vehicle drivers from driving with alcohol in their system.69 The effectiveness of zero tolerance laws in this regard varies since these laws may not be easily or consistently enforced, and those who are affected by such laws are not always aware of them. For example, two-thirds of youth surveyed in New Mexico were unaware of laws prohibiting young people from driving after consuming any amount of alcohol.70 However, despite low awareness, there is data to suggest that zero tolerance laws do have a measurable effect on reducing the number of alcohol-related fatal crashes.71 Still, the overall impact of zero tolerance laws is difficult to measure because these laws are not consistently enforced across all jurisdictions due to the difficulty of detecting drivers with low-BACs. d) Have prison and jail sentences as a penalty for impaired-driving been evaluated, and if so, what is known about their effectiveness? e) Have probation/community supervision and parole sentences as a penalty for impaired-driving been evaluated, and if so, what do we know about their effectiveness? Of note, the evaluations of the effectiveness of these sanctions have focused mainly on alcohol-impaired driving offenders, and it is unclear whether drug-impaired drivers share the same characteristics and can be effectively supervised using these strategies. 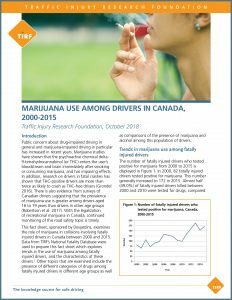 In other words, more research is needed to identify the types of strategies that may be best suited to drug-impaired drivers. f) Have licence suspensions for impaired-driving been evaluated, and if so, what is known about their effectiveness? An important limitation to these studies is the difficulty distinguishing between drivers who are suspended for alcohol- and/or drug-impaired driving offences, as compared to drivers who are suspended for other types of traffic violations. In other words, a driver’s licence may be suspended for a wide variety of reasons unrelated to substance abuse and driving.89 As such, it has been difficult to measure the use of licence suspensions for specific types of offences and violations. g) Has vehicle impoundment for impaired-driving been evaluated, and if so, what is known about its effectiveness? Several evaluations of the effectiveness of vehicle impoundment programs on impaired driving have been conducted. Below a short summary of this research is provided in relation to both vehicle impoundment (i.e., when the actual vehicle is confiscated and stored) and plate impoundment (i.e., when only the licence plate is confiscated). Plate impoundment. An alternative to vehicle impoundment is plate impoundment. Plate impoundment involves the confiscation of the licence plate of a vehicle by the state. In Minnesota, the licence plate is considered the property of the state and is therefore subject to seizure. This is considered an important distinction as it makes it easier to conduct plate seizure. However, in light of safety concerns associated with the removal of the plate at roadside by officers, another effective way to detect unlicensed drivers is to use a “zebra tag” which are striped markers placed over the annual sticker to designate an unlicenced driver.93 Ultimately studies have shown that plate impoundment is a cost-effective alternative to vehicle impoundment that does have a measurable impact on recidivism.94 In particular, the zebra tag process also poses lower risk to officer safety in that it is easier to apply a sticker to a plate than to physically remove the plate at the roadside. 59 Prevalence can be understood here to mean how often the crime is committed (i.e. how many people are deterred from offending) and recidivism can be understood to mean how often offenders re-commit the offence. 81 There is an important distinction between abusers and dependants. Abusers are individuals that do not rely upon substances in order to function and have sufficient ability to stop taking their respective substance. Dependants are those who rely upon substances in order to function and are considered addicted. It should also be understood that the use of the word “substance” here can mean either alcohol or drugs. 82 Probation refers to a judicial order/suspended sentence that is served under the supervision of the community and as such can be interchangeably called “community supervision”. 83 Parole is post-release supervision which is granted after serving a longer period of incarceration and is monitored by parole officers. The conditions of parole are similar to probation, however parole is strictly a post-release sanction whereas probation is in lieu of incarceration. 7. What are drug courts, and how are they applied to drug-impaired drivers? Drug courts are courts that deal specifically with drug-related offences. Studies have shown that drug courts have been highly effective strategy to address the risks and needs of offenders in order to effectively treat drug-related issues.97 However, such research has also shown that drug courts are resource intensive and require specialized services that may not be possible to provide in all jurisdictions, specifically in urban jurisdictions where the offender population is larger or in smaller jurisdictions where there are fewer resources generally, and limited treatment services specifically. 8. What are DWI (Driving While Impaired) Courts? DWI courts are specialized courts that deal specifically with alcohol-impaired driving offences. There are two main types of DWI courts: hybrid drug/DWI courts and stand-alone DWI courts. Hybrid courts deal with drug/alcohol substance abuse offences including alcohol-impaired driving offences. Stand-alone DWI courts strictly deal with alcohol-impaired driving offenders. Brief summaries about the effectiveness of each type of court are below. 9. Are drug-impaired drivers in the U.S. required to abstain from drug and alcohol use after conviction? How are they monitored or tested for drug and alcohol use post-conviction? In Canada, abstinence from alcohol and drug use is not a standard requirement of sentencing upon conviction, although it may be applied in some circumstances, and continuous alcohol monitoring tools are not often utilized. 10. What are remedial driver licencing programs, how are they applied to drug-impaired drivers? 11. Could a device similar to an ignition interlock, which is used to monitor convicted alcohol-impaired drivers, ever be used for drug-impaired drivers? Current alcohol ignition interlock technology is not designed to measure drug-impairment. That being said, there is some speculation a certain amount of marijuana smoke in the breath can be detected on a breath testing device, similar to an approved screening device (ASD) or a preliminary breath test (PBT). However, a functioning breathalyzer that specifically measures drug-impairment is not likely to be available to prevent convicted impaired drivers from starting their vehicle after consuming THC in the near future. Furthermore, given that cannabis is most often consumed in conjunction with alcohol, it is difficult to accurately establish levels of THC that would constitute drug-impairment in combination with varying amounts of alcohol.113 This is why these types of technologies can be used to suggest impairment, along with other indicators, but may be difficult to rely on as the sole indicator of impairment and may not be appropriate to use as a post-conviction sanction similar to an interlock. Laws based on behavioural impairment, per se thresholds, and zero tolerance have different strengths and limitations, and the enforcement of these laws can be challenging for different reasons. While per se laws have been an effective solution to manage alcohol-impaired driving, the different effects of specific drugs on individual users may make this a more challenging proposition for drug-impaired driving offences according to current research. Therefore, behavioural impairment laws are generally viewed as more viable than per se laws due to the lack of scientific consensus regarding drug impairment at specified thresholds. Research evaluating the effectiveness of programs and policies specific to drug-impaired driving is currently limited, and more research regarding the characteristics of drug-impaired drivers is needed to develop evidence-based solutions to reduce this risky behaviour. Going forward, the tailoring of strategies to address risks and needs, and reduce risk are important considerations, and the “over-servicing” of offenders who pose less risk should be avoided. Asbridge, M., Mann, R. E., Flam-Zalcman, R., & Stoduto, G. (2004). The criminalization of impaired driving in Canada: assessing the deterrent impact of Canada’s first per se law. Journal of studies on alcohol, 65(4), 450-459. Baldock, M., & Woolley, J. (2013). Reviews of the effectiveness of random drug testing in Australia: the absence of crash-based evaluations. ACRS. Bouffard, J. A., & Richardson, K. A. (2007). The Effectiveness of Drug Court Programming for Specific Kinds of Offenders Methamphetamine and DWI Offenders Versus Other Drug-Involved Offenders. Criminal Justice Policy Review, 18(3), 274-293. Bouffard, J. A., Richardson, K. A., & Franklin, T. (2010). Drug courts for DWI offenders? The effectiveness of two hybrid drug courts on DWI offenders. Journal of Criminal Justice, 38(1), 25-33. Briscoe, S. (2004). Raising the bar: can increased statutory penalties deter drink-drivers? Accident Analysis & Prevention, 36(5), 919-929. Canada. Parliament. House of Commons. “Impaired Driving Act” Bill C-226, 42nd Parliament, 1st Session, 2016. Ottawa: Public Works and Government Services Canada – In Committee (House), June 9th 2016. Cavanaugh, M. R., & Franklin, T. W. (2012). Do DWI courts work? An empirical evaluation of a Texas DWI court. Journal of Offender Rehabilitation, 51(4), 257-274. Caulkins, J. P., & DuPont, R. L. (2010). Is 24/7 sobriety a good goal for repeat driving under the influence (DUI) offenders?. Addiction, 105(4), 575-577. Coben, J. H., & Larkin, G. L. (1999). “Effectiveness of ignition interlock devices in reducing drunk driving recidivism”. American Journal of Preventive Medicine, 16(1), 81-87. Compton, R., Vegega, M., & Smither, D. (2009). Drug-Impaired Driving: Understanding the Problem and Ways to Reduce It: A Report to Congress (No. HS-811 268). European Monitoring Centre for Drugs, & Drug Addiction. (2011). Annual Report on the State of the Drugs Problem in the European Union (Vol. 2011). European Monitoring Centre for Drugs and Drug Addiction. Ferguson, S. A., & Williams, A. F. (2002). Awareness of zero tolerance laws in three states. Journal of safety research, 33(3), 293-299. Fisher, D. A., McKnight, A. S., & Fell, J. C. (2013). Intensive DWI supervision in urban areas—Feasibility study (No. DOT HS 811 861). Furuhaugen, H., Jamt, R. E., Nilsson, G., Vindenes, V., & Gjerde, H. (2018). Roadside survey of alcohol and drug use among Norwegian drivers in 2016–2017: A follow-up of the 2008–2009 survey. Traffic injury prevention, 19(6), 555-562. Grotenhermen, F., Leson, G., Berghaus, G., Drummer, O. H., Krüger, H. P., Longo, M., … & Tunbridge, R. (2007). “Developing limits for driving under cannabis”. Addiction, 102(12), 1910-1917. Health Canada (2004). Best Practices – Treatment and Rehabilitation for Driving While Impaired Offenders. Health Canada. Ottawa, ON. ISBN 0-662-37448-7. Holmgren, A., Holmgren, P., Kugelberg, F. C., Jones, A. W., & Ahlner, J. (2008). High re-arrest rates among drug-impaired drivers despite zero-tolerance legislation. Accident Analysis & Prevention, 40(2), 534-540. 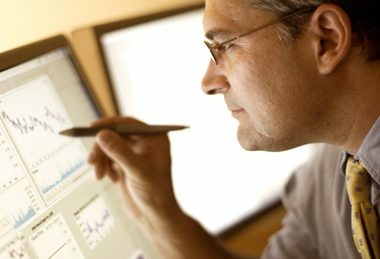 Innoventures Canada (2016) Impairment Detection Technologies – What does Canada need? I-CAN Workshop Discussion. National Optics Institute. Jonah, B. A. (1997). Sensation seeking and risky driving: a review and synthesis of the literature. Accident Analysis & Prevention, 29(5), 651-665. Jones, A. W. (2005). Driving under the influence of drugs in Sweden with zero concentration limits in blood for controlled substances. Traffic injury prevention, 6(4), 317-322. Kierkus, C.A. & Johnson, B.R. (2012). Michigan DWI/Sobriety Court Ignition Interlock Evaluation: 2012 Report. Michigan Association of Drug Court Professionals. Leaf, W. A., & Preusser, D. F. (2011). Evaluation of Minnesota’s vehicle plate impoundment law for impaired drivers (No. HS-811 351). Marlowe, D. B. (2012). The facts on DWI courts. Washington State Sentencing Guidelines Commission. Retrieved September, 23, 2015. Parrish, K. E. (2013). The Problem of Suspended and Revoked Drivers who Avoid Detection at DUI/license Checkpoints (No. CAL-DMV-RSS-13-244). Robertson, A. A., Gardner, S., Xu, X., & Costello, H. (2009). The impact of remedial intervention on 3-year recidivism among first-time DUI offenders in Mississippi. Accident Analysis & Prevention, 41(5), 1080-1086. Robertson, R.D., & Wood, K.M. (2013). Impaired Driving Risk Assessment: A Primer for Policymakers. Traffic Injury Research Foundation. Ottawa, ON. Robertson, R. D., Woods-Fry, H., & Morris, K. (2016). The Traffic Injury Research Foundation. Ross, H. L., McCleary, R., & LaFree, G. (1990). Can mandatory jail laws deter drunk driving? The Arizona case. The Journal of Criminal Law and Criminology (1973-), 81(1), 156-170. Sweedler, B. M., & Stewart, K. (2000). Vehicle sanctions: An effective means to reduce impaired driving. Alcohol, Drugs and Traffic Safety, 22-26. Sweedler, B. M., Stewart, K., & Voas, R. B. (2004, August). Impaired driving: Vehicle sanctions around the world. In The Proceedings of the 17th International Conference on Alcohol, Drugs, and Traffic Safety, Glasgow, Scotland. Vindenes, V., Sloerdal, L., & Moerland, J. (2013). Impairment based legislative limits for driving under the influence of non‐alcohol drugs: the Norwegian experience. 20th International Conference on Alcohol, Drugs and Traffic Safety Conference Proceedings, Brisbane Convention and Exhibition Centre, Brisbane, Australia (747-752). Voas, R.B., Fell, J.C., McKnight, A.S., & Sweedler, B. M. (2004). Controlling impaired driving through vehicle programs: An overview. Traffic injury prevention, 5(3), 292-298. Voas, R.B. ; Tippetts, A.S. (1994) Assessment of Impoundment and Forfeiture Laws for Drivers Convicted of DUI, Phase II Report: Evaluation of Oregon and Washington Vehicle Plate Zebra Sticker Laws. DOT HS 808 136. Voas, R.B., Tippetts, A.S., & Fell, J.C. (2003). Assessing the effectiveness of minimum legal drinking age and zero tolerance laws in the United States. Accident Analysis & Prevention, 35(4), 579-587. Wong, K., Brady, J. E., & Li, G. (2014). “Establishing legal limits for driving under the influence of marijuana”. Injury epidemiology, 1(1), 26.